(2011). Solvent Extraction of Zinc from Acidic Solution Obtained from Cold Purification Filter Cake of Angouran Mine Concentrate Using D2EHPA. Iranian Journal of Chemical Engineering(IJChE), 8(3), 43-47.
. "Solvent Extraction of Zinc from Acidic Solution Obtained from Cold Purification Filter Cake of Angouran Mine Concentrate Using D2EHPA". 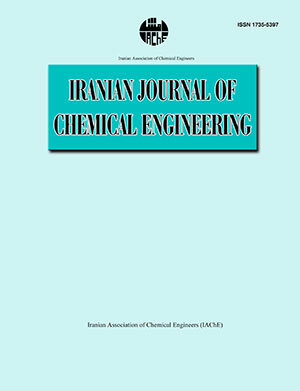 Iranian Journal of Chemical Engineering(IJChE), 8, 3, 2011, 43-47. (2011). 'Solvent Extraction of Zinc from Acidic Solution Obtained from Cold Purification Filter Cake of Angouran Mine Concentrate Using D2EHPA', Iranian Journal of Chemical Engineering(IJChE), 8(3), pp. 43-47. Solvent Extraction of Zinc from Acidic Solution Obtained from Cold Purification Filter Cake of Angouran Mine Concentrate Using D2EHPA. Iranian Journal of Chemical Engineering(IJChE), 2011; 8(3): 43-47.